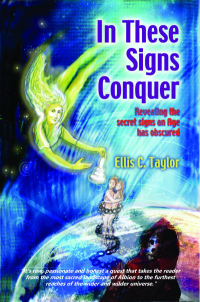 The first is from my book, In These Signs Conquer, first published in 2006. Where’s that 9 years gone? All sorts of fads, fashions and baubles are offered to us: music, films, books, clothes, diets, cosmetic surgery, and technology in exchange for the real wealth every human being came into this realm with. We are told that we must be hip, fashionable, thinner, perfectly formed and intellectually with it all of the time. People spend huge amounts of time, energy and money attempting to stay on the ride as it hurtles around faster and faster. It’s laughable really because the trick is to slow down and get off. Human bodies are physical manifestations of mental energy. Your inner self will always be mirrored on your outer self. Human bodies wear out through constant physical, conscious and emotional mental exertion so obviously surely the very best way to slow down the ageing process is to daydream, contemplate and meditate to give your physical apparatus a rest. At the same time this will allow your essential self to come to the fore. Your unconscious mind where your true wisdom rests will relish the challenge and inevitably your truth will emerge. In the latest Cosmic Disclosure episode on Gaiam TV, Corey Goode makes some startling claims about sleeping giants located in stasis chambers hidden all around the world. He says that during his down-time in secret space program assignments (1987-2007) he would review information on “smart glass pads.” The pads were a Wikipedia-like repository of information that personnel in the Solar Warden and other secret space programs could access about various aspects of ancient Earth history, extraterrestrial life, advanced technologies, etc. Goode described seeing information about giants that once lived on Earth, now sleeping in stasis chambers. 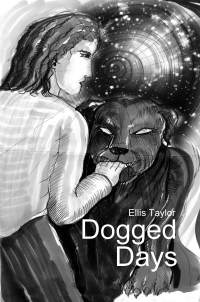 This entry was posted in Ancient, Artificial Intelligence, Ceremony, Ellis Taylor, Health, Howlin' at the moon, Occult, Otherworlds, Psychic, Spirit & Soul and tagged black dog, daydream, dogged days, fashion, fu, giants, gold, jewelry, joke, Kurdistan, laugh, phantom dogs, sarcophagi, sarcophagus. Bookmark the permalink. ← A fishing story – honest!